Visit our Events Page for more information on these and other events sponsored by Hudson Crossing Park! Hudson Crossing Park is a unique recreational and educational destination. It is open every day year-round from dawn until dusk and is free of charge. Visitors may enjoy picnic facilities, fishing and birding sites, a children's play garden and more than two miles of nature trails with panoramic Hudson River vistas and Champlain Canal overlooks. A floating dock welcomes through-boaters to stay for up to 48 hours and a kayak launch on the Riverwalk Sensory Trail provides access to the Hudson River and Champlain Canal. Hudson Crossing Parks’s unique Play Garden is designed for young and old alike. One of the only of its kind in the area, children are invited to explore among natural plantings and recycled slides, living tunnels, and many discoveries that await them. 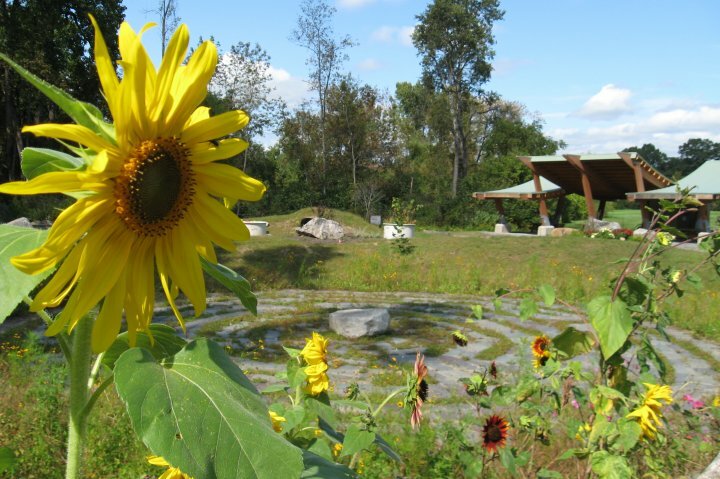 The young at heart may enjoy walking our beautiful labyrinth as a wonderful way to clear the mind and find peaceful respite in a beautiful setting. A perfect place to begin and end your visit, we invite you to enjoy our beautiful and unique pavilion located just beyond the park parking lot and by the play garden and trail heads. Handicapped accessible and equipped with a bathroom, the pavilion is also a great place to meet friends before or after your adventures at Hudson Crossing! 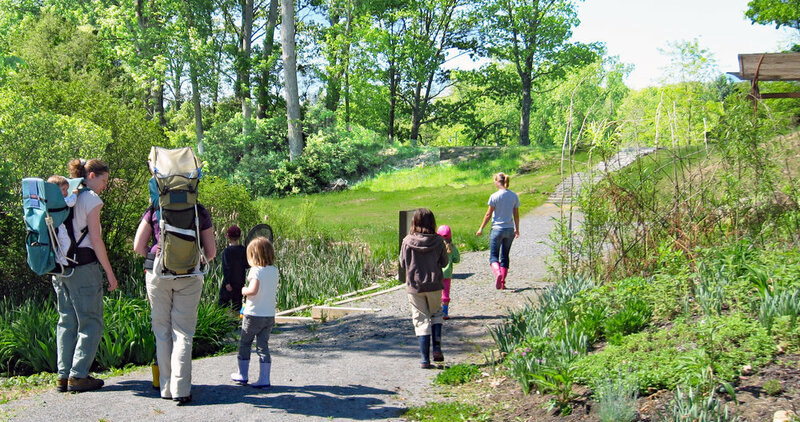 Hudson Crossing Park is home to over two miles of beautifully cared for trails, including a Sensory Trail along the Hudson River as well as trails overlooking historic Champlain Canal Lock 5. A perfect place to walk, run, or bike for all ages, the trails are open from dawn until dusk every day of the year. (Leashed) canine companions are always welcome as well! 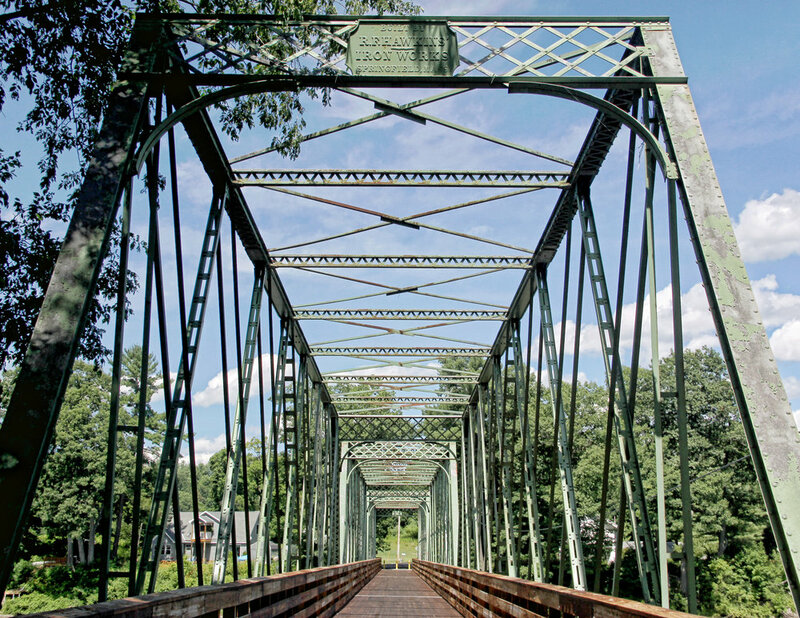 The Dix Bridge formally joins Saratoga and Washington Counties within Hudson Crossing Park. Once closed to foot traffic, it now serves as the keystone of the Park, bridging communities and inviting bicyclists, pedestrians, snowmobilers, and skiers to cross the Hudson River. It also serves as the local crossing for the N.Y.S. Canalway Trail and the Empire State Trail. A beautiful natural resource, the Hudson River flows along the borders of Hudson Crossing Park and provides ample opportunity to kayak, canoe, fish, or just observe nature. Hop in at the Alfred Z. Solomon kayak/canoe launch, spend the night while passing through at our boat dock, or just walk the trails to view the falls at Eagle Point at the end of the island! The historic Champlain Canal was first opened in 1823, and since that time has gone through a continual series of enlargements. The present version was opened in 1916 and runs 61 miles from Waterford to Lake Champlain. 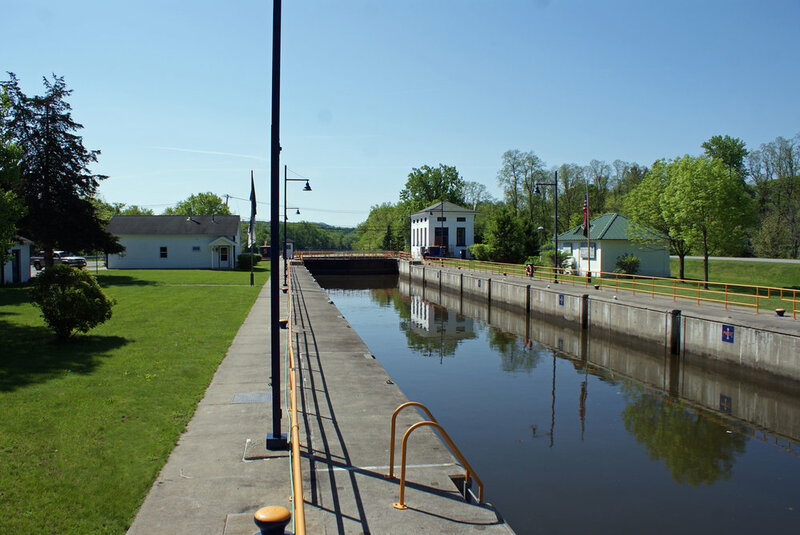 Today the canal is used by recreational paddlers and motorized and commercial boats and barges alike, and definitely worth taking time during your visit to explore! Eagle Point Overlook, which is in many ways Hudson Crossing Park's "Turning Point", is found at the tip of Lock 5 Island. Visitors who have walked the trail system to this point are rewarded with a number of points of interests, including a stunning view of the Northumberland Dam, a historic recreation of the original lock keeper's shack, interpretive signage, as well as a wonderful place to pause before the journey back. Explore the park and you will soon notice many sculptures and pieces of artwork tucked among the flowers, trees, and trails. From the moment you are greeted by Hudson Crossing Park's signature wrought iron gate to the surprise sculptures you find as you wander deeper into the trails, Hudson Crossing Park will inspire you on every step of the way.